I heard Åsa Pärson give a talk today at the Berkeley studio of Yoshiko Wada, aka Slow Fiber Studios. 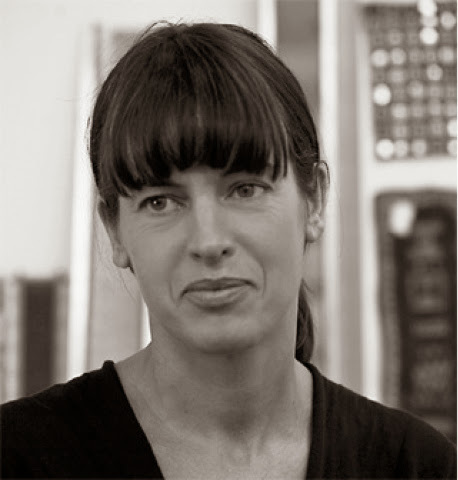 Pärson is a Swedish textile designer who has drawn from a world of traditions, experimenting with the techniques she has learned in the field and then applying what emerges - what can be both repeated and scaled up - to commercial textiles, mainly for use by interior architects and designers. The community she addressed is part of the World Shibori Network. I don't know anything about it, but I got a sense of it today. The studio where I weave is run by one of her students, Lynn Harris. The talk and some of the comments from the audience used technical terms from this movement. I didn't have a notebook with me, so I can't repeat the terms, but they must be on the website (shibori.org). Her work is striking. She has two studios - one in Stockholm and the other in the north of Sweden - each with several looms, dyeing pots, and other things. The country studio has looks out to a view she compared to northern Japan. Some of her work experiments with removing color from existing fabric and then reworking it. 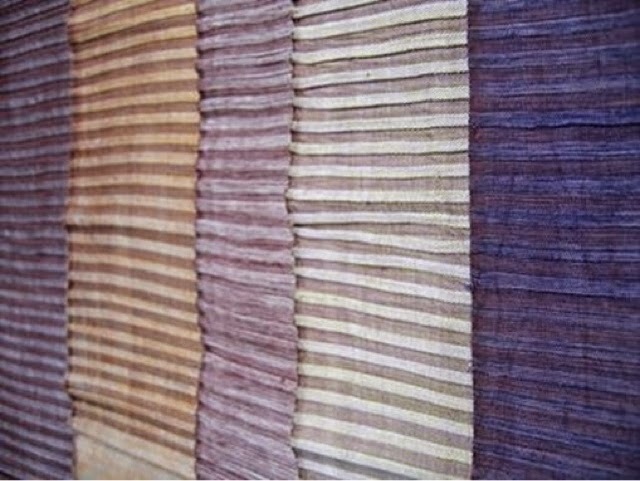 Some of it uses bamboo with cotton so the dye takes selectively. 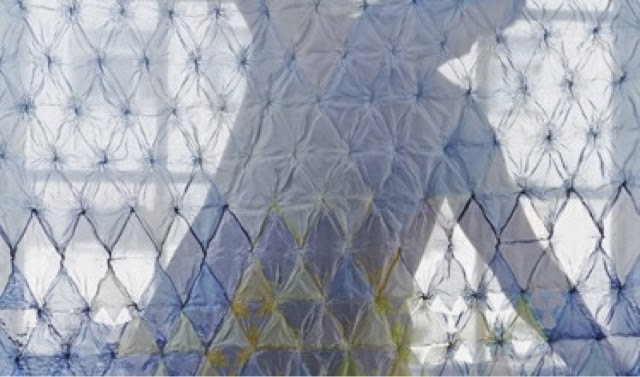 The piece below was made by exploiting a fabric's tendency to shrink or expand - a technique she uses quite a bit. The talk opened a window on a world that she said is rooted in making: she creates by experiencing something and then working with it. She takes care to note what she's doing, so she can do it again. "Luck," she said, "is not enough" - meaning that you can't use what you've done in a larger sense: replicating the effect at a different scale, for example, to make it commercially viable. Pärson has a website, www.asaparson.se, but today (10 May 2014) it's still under construction (her email address is info@asaparson.se).